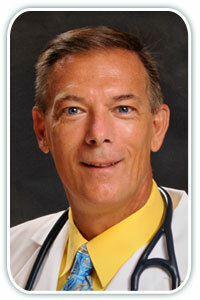 Home >> Providers >> Terence Moraczewski, M.D. Terence Moraczewski, MD is a Board-Certified Family Medicine Physician and Fellow, serving as senior physician of North Atlanta Primary Care since 1998. He was on the Board of North Fulton Hospital and active staff member at four surrounding community hospitals. He was a medical advisor for a prominent National Pharmacy and Therapeutics Committee. He was a guest lecturer for Northside Hospital’s Women First Bureau on Weliness Series. He was a contributing consultant to the Health Section of the local Roswell Current monthly newspaper. Dr. Moraczewski served on the Student and Resident Recruitment Committee for the Georgia Academy of Family Practice. He is on the prestigious Quality Resource Efficiency Committee for Quality Care Providers of Georgia. He has been the team physician for Blessed Trinity High School’s football team. He was honored for being named one of the “Top Physicians by Specialty” by Atlanta Magazine, published in 2001. Dr. Moraczewski is a Board Member with Medical Association of Atlanta and he is also on the House of Delegates with Medical Association of Georgia. Dr. Moraczewski attended undergraduate school at the University of Notre Dame and later graduate education at Indiana University School of Optometry. He graduated with honors at American University School of Medicine. He completed his residency at St. John Medical Center in Detroit, acting as the Chief Resident in his final year of training. His wife, Megan, works at North Fulton Hospital as a Nuclear Medicine Technologist. They have three children—Laila, Jason, and Jordan-- in different stages of medical education and training as future physicians.